As temperatures heat up, thoughts turn to beach trips and sun-kissed skin. But if you're like this beauty chick, only a few minutes spent in the sun will turn you into a lobster! That's where these bronzers come in. I've rounded up the bronzers guaranteed to give you that gorgeous summer glow without any harmful UV rays. Discover my favorites after the jump. 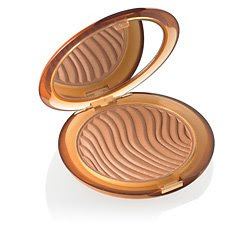 Lancome Star Bronzer Poudre Soleil ($36.50): With shades like Bronze Solaire, Bronze Riche and Bronze Dore, this compact gives gorgeous glow. 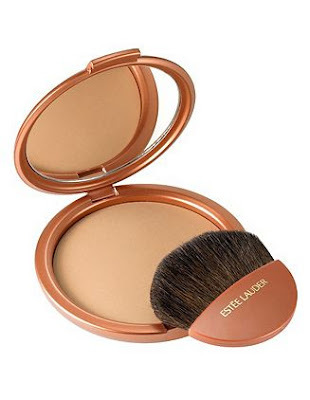 Plus the bronze compact contains a rippling powder that looks so pretty, it will be hard to even sweep a brush across it and ruin its beauty! 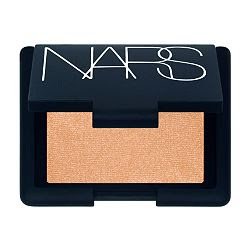 NARS Powder Blush Cheek Color in Sertao ($25): While this is technically a blush and not a bronzer, I like to use it as the latter. It has just enough sparkle to make skin look beautifully glowy, and a simple sweep across the forehead and cheeks gives a dewy freshness. 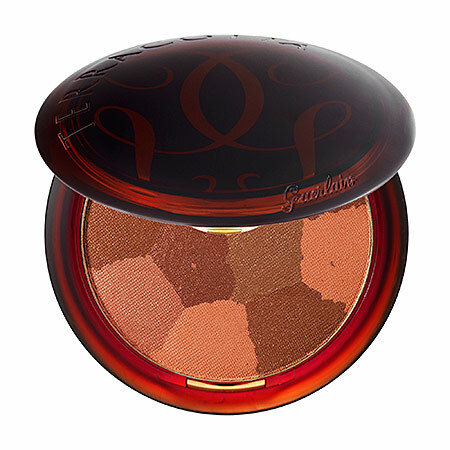 Guerlain Terracotta Light Sheer Bronzing Powder in Brunettes ($51 at sephora.com): Not only do I absolutely love the mosaic design of this bronzer ... but how often is one designed especially for brunettes? 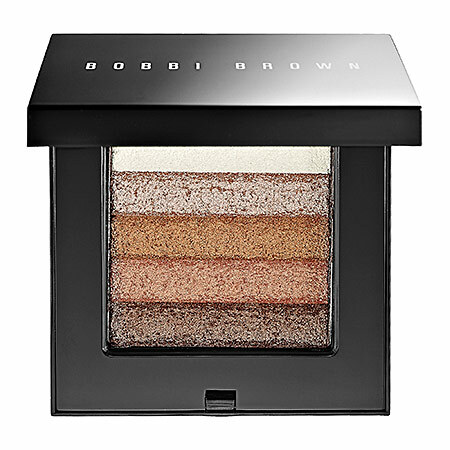 Totally in love with this compact of coordinating colors that are formulated just for gals with dark brown hair. Estee Lauder Bronze Goddess Soft Shimmer Bronzer ($30): From the oversized compact to the coordinating brush, this one is definitely a keeper. Not to mention it's got just enough shimmer to make you glisten and glow like the bronze goddess you know you are. Benefit Jiffy Tan ($28): You can't forget your legs during the summer, right? And there's no better bronzer out there than this one, which will make your legs look like they've been in the sun just long enough to get totally bronzed and glowy. While its claim of slenderizing your legs may or may not come true, they will certainly be tanned and beautiful! 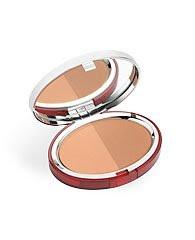 Clarins Duo Soleil Bronzing Duo ($35): Don't you just love makeup that comes in its own carrying case? Well, then you'll love this one, which is contained in its very own felt pouch. Not to mention the two coordinating shades in the Bright Sun compact -- one peachy, one terracotta -- will make your skin look so unbelievably pretty. 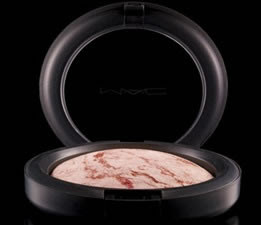 M.A.C Mineralize Skinfinish in Gold Deposit ($27): Mineralize products may just be among my absolute favorites. They look so pretty it's hard to justify actually using them ... but once you do, you'll never want to use anything else. This one leaves a gorgeous sparkle upon the skin, too. Bobbi Brown Bronze Shimmer Brick Compact ($42 at sephora.com): This is the original Shimmer Brick Compact at its finest! Five shades, ranging from white to deep brown, look great everywhere from your eyes to your forehead to your cheeks. 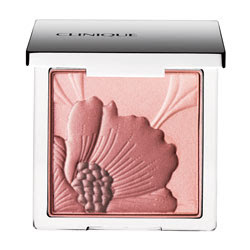 Clinique Fresh Bloom Allover Colour ($29.50): Take one look at this compact and tell me how it's possible to ever want to use it. Isn't the design so pretty you could just die? Well, don't die -- and definitely do use it -- because you'll be gorgeously glowy when you do. I understand turning into a lobster after a few minutes on the beach...I already managed to do that over Memorial Day weekend and spend days covering up sunburn with foundation! Bronzer is the way to go when it comes to tanning your face. I have friends who love the Lancome bronzer, but I use NARS. I would never have thought to use that shade, though. Thanks for the tip!